I have got Dirt rally and allthough is a really good game and one of the best rally best games ever (even unfinshed) nothing to compare with this action and the fun of Grid 1 - GAS ,i play racing games since early 90's i love all range of racing games from the most arcade (yeah ipicko i play on steam even Sonic and all stars racing transformed , Sonic lover since Sega Master system too) to the most simulators but never ever found this perfect balance between sim and arcade handling and physics..
Ive never and will not use a mic. I hate dropping out of games without a BB, or Dinner, or BT, or GTG work. And the occasional Sorry and the GRs too. And like Flowa says """plenty ideas of improving the game"""-- it doesn't need much, really. Text chat again - very important social thing. Not big fonts DIRT2/3 style but small more Grid 1 style like they have it on most FPS games. Not on separate screen but on game action screen, accessible whole the time, also during loading screens. Voice communication doesn't work like it shud. Mic sounds are crap mostly, and good mic cost money. Also, steam text chat is bad. Some ppl just dont want to interact and will hide behind private account and dont respond. Like Loggy said, there are some msgs you'd like the whole lobby to see. Change spectating mode like it was in Grid1, when you cud spectate no matter how late u joined the lobby. Right now when you join the lobby that already started the race you cannot spectate and get bored. And whats the point in making spectate mode available only to ppl who started the race but retired. Most of the time no1 is doing that anyway, ppl tend to race when they have a race, not retire to watch. These two things are just examples of how you Codies, went wrong with some decision making. You changed something that was working fine. But deffo text chat is a big issue. But i guess u know his from this forums. Hi all I think all the Grid games are fantastic in different ways.All I would like to see is pit stops just this little thing would have made the Games awesome. - I love the way GRID 2 made the main 8 AI opponents so distinguishable in career mode. Each with their own choice of car, livery and nationality, as well as their own behavioural differences. It gave a real sense of rivalry when playing through the career. Whilst yes, it's an arcadey feature, it's fun, and fun should be what GRID is all about, given it's not pure arcade nor sim. True, motorsport in general has this to a degree, but it felt a lot stronger in GRID 2 and reminded me of the old Playstation classic Total Drivin, which despite being a generic 90s arcade racer with mediocre graphics and poor physics, was hugely fun because of the character that each AI driver had. - I'd like a stronger custom race mode. GRID 2's custom race mode always annoyed me due to the fact that it would always randomise which AI drivers you'd be against, when I would have much rather be racing against the main career opponents (as they're far tougher and have that individuality I mentioned). And then there's GRID Autosport, which lacked the option of a custom livery for single player custom races, which to me is a big drawback. Custom races should really be there to allow a player to feel they're continuing with the single player competition after the career is over (as well as giving an alternative experience to those not wanting to do a career mode). - Autosport's catchup mechanic was horrible and should be gone. It was far too artificial and noticeable and was not in any way a fun challenge. Battling through the general field should not just take one or two laps, except maybe on short 3-5 lap races. And once you get to the front, battling with AI drivers who are in significantly faster cars then yours even if they're your team mate is a real put-off. And don't even get me started on laptimes of spun-out cars trying to return to their programmed positions. At the very least, catchup should be toggleable. A more subtle approach could be to only apply AI speed boost catchup to teams that are meant to be superior to your own (so you don't feel like you've been given a completely different spec car to your Ravenwest teammate). - Team customisation is a must, and Single Player should have the same range of features that Multiplayer has to appeal to both audiences. Furthermore, DLC cars should be fully playable in career, as that's something that annoyed me about Autosport (and similarly affected DiRT 3). GRID 2 was fine, although it felt a bit weird that the player essentially drove for the WSR's organisers, which felt out of place compared to the other club-based drivers. - I'd really like drift events to be more optional than they are. From time to time, yes, I'd like to do drift races, but having them part of the career (even as cup events) was pretty annoying. That's not to say they should be sidelined if they're included, but you shouldn't have to compete in them in order to progress. - Less pushy engineers would also be nice. Yes, race engineers are meant to be pushy, but when you're driving for Razer and getting more-or-less told off for not keeping up with Nathan McKane because you happened to beat him in a previous event, it really makes me go "I'm in 3rd place! You should be grateful I managed to get your car up there, as with any other driver, you'd be lucky to get the car into 12th, so stop complaining!". I also hated getting told I could do better in GRID 2 when finishing 2nd despite starting in last place with the fastest driver in pole position (thus meaning that by the time I get through the pack, he's too far away to catch). - Gearbox damage should be toggleable as its own option. I say this because I can't multitask to the extent of using a manual gearbox, and I'm sure there are others who struggle with gears too. And having an automatic gearbox that destroys itself half-way through the race is very frustrating. One could say "well then, learn how to use gears," but it's a game, you should be rewarded for not using assists, rather than punished for having to use them. - Replay cameras. In GRID 2, they're awful, as you can't tell what's going on at all, and half the time, the camera's pointing at a backdrop. GRID Autosport, they're better, but they're still poor because you still miss the action. Camera angles that don't show the actual racing (such as those pointed right at the windscreen or those doing a close-up of a wheel) should be gone. Track-side cameras in fact would be a lot better, as they show the action much better. Maybe there should be seperate camera modes for either option depending on whether the replay is for watching purposes, marketing/whatever purposes or screenshot-taking purposes. Those are a few of the thoughts that cross my mind personally, although no doubt they might conflict with other opinions. An updated, mature version of Pro Race driver is just a dream... It would be an absolute success. New graphics, physics at least as good as dirt Rally have, some more driver trajectory... waawawaw.... hours, ... months!.. YEARS of enjoy with that. Call it whatever you want, but I never reached again that level of happiness while driving Race Driver with my MOMO wheel. Pure enjoy. I know I've complained to CM in the past about some of the bugs in your games but I have to give it to you guys.... you know how to make a good fun racing game ! I wouldn't want much changed from Grid Autosport tbh... just some updated cars and tracks and a more extensive playlist for online racing. Would it be possible to include a feature to have any members of Team NSR banned from Autosport 2 from the very beginning? I think this would be the most important feature of any new game to ensure enjoyment for anyone else in the world who might want to play without getting rammed off the track repeatedly for no reason whatsoever. Crumplezone. Just get a PlayStation then it's problem solved for you lol. I have no experience of racing with them but I'm sure we'd get on swimmingly. I've kind of always wanted to race fluke and flukey to see how it goes but I will never get an Xbox. I did watch all of rta's videos tho, very entertaining. There's always a reason crumplezone, only most of the time the majority of grid players don't know what it is as they have no concept of the basics of racing. They think dive bombing someone going into a corner while shouting "I've got the inside line" and knocking the other car off the track is acceptable, others think using the car in front as a brake is perfectly OK while even more think it's OK to use the car in front to get round a turn. I've been playing Project Cars lately.... have met a lot of good, fast clean racers on there. Come join us... you might learn a thing or two. - any car for any track I noticed in gas that some cars in the solo time trials couldn't go on some tracks, and this bugged me so much. - custom livarys/ own company: if you where to make gas 2 having my own company with my own livery would be awesome, just imagine driving your R35. (Or your fav car) and seeing it with such glamer. - upgrading. Yes this is a difficult one in some occasions some people love it... Some hate it. But just being able to have your own car come 3rd then unlock a engine upgrade, do the same race and win. It feels so great, maybe you could have a setting that allows you to turn on/off the upgrades. - 2 screen split screen I have duel monitors and I was a little upset with not being able to have my friend race on a difrent screen. More drift events and drag events. Imo, I think Grid should take the Dirt Rally route. In terms of classes, physics and early access. It's a very well balanced game. Also, focus mainly on Touring Cars. Have some stuff from the 60s up to the 2000s. Have DTM, V8s, Muscles. Finally, improved AI. I'd like it to go the route of ToCA Race Driver 3, be a smorgasbord of racing disciplines all under one roof, nothing more challenging than going from GT to trucks, to single seaters, etc. Yes I really do love Codemaster's Games and do not have the Elitist mentality I like fun easy to engage racing game with top notch elements and features. Don't get me wrong Codemaster could include more Simulation style features. like unlimited # of race laps., advanced car setup features, Controller support matching that of ISI, Physics to better resemble that of Assetto Corsa or Race 07 along that range, the ability to create custom events with no limitations on vehicle and location matching or varying classes in the race field, due away with locked content except in Career Mode, and proper simulation grade cockpit view camera with working gauges adjustable seat and proper rear view camera. I would yes very much like to see you continue with the Race Driver "Grid" Series. Also and may be worth a voting poll to consider bringing back TRD3 (Toca Race Driver 3) for rerelease on Steam. I still play it and am able to map my G27/CSP v1/ CSS Sq input controller configuration and I still play it and enjoy it. Still has decent graphics and is possibly the most complete Racing Game Ever. At $9.95 I think enough copies would sell to justify brining it back and help further support development costs of the series of Race Driver titles. Anyway best wishes and best of luck in the future! The present iteration of GAS is very good. Keeping this base and improving AI and graphics would be a good move. Ofc, new cars bigger garage and the ability to gift money(Been playing since release,have a garage full of cars and 118 million siting doing nowt) Whatever you do, don't go the sim route, ends up being a bug fest or a wallet drainer. That's my two pennyworth. Oh! and tracks, some old classics like croft and oschersleben to name a couple. I've played the first Grid game and it was great then. Now, with the likes of Project Cars, Need for Speed and Assetto Corsa and in the future with Gran Turismo, Project Cars 2, a new Grid game would just get lost in the mix. Codemasters should just focus on Dirt and bringing it to consoles and continue to support the F1 series. I hear you coolieboy, however if you played toca on a ps1 all the way to GAS, you know there is a long heritage, and a hell of a lot of touring car enthusiasts. The sims are just tripping over themselves for a share of a market that belongs to rich people with fanatec wheels. Plus you get 3 times as many arses playing racing sims when they should be playing minecraft. One of my friends said GAS was just a stop for AC and PC, i see it the other way round, i'm using AC and PC as a stop gap till GAS2 or whatever. ;) Don't forget voice coms, Codies always do good voice coms, and most of my friends i met chatting in game, not having this feature in AC or PC kind a killed the fun for me. Was thinking the other day and one of the most memorable moments in Toca for me was Race driver and using the DTM's. There was a big line up of cars as well. TBH I only care that CM will actually finish the game and fix any and all problems before completely abandoning it like they did with GAS. By that I mean things like the Upgrades doing NOTHING to this day to actually change the cars performance. We were promised a fix but none came and Loore's last task (before leaving CM) was to inform us all that no further patches or support for GAS would be forthcoming. Anyone remember F1 Online the Game? an F1 driving+team management game controlled by mouse. you even had to build different department buildings and research and design each part before you could use it. Fans LOVED it in closed and open Beta, many forked out cash for in game purchases, a low fuel bug was reported (do 200 laps in time trrial and the cars got stupidly fast, the more laps the faster the car got). CM promised a fix and then BINNED the whole thing. No one was re-funded for unused in game purchases. It was just dumped. The ultimate betrayal of those who were involved in all stages of F1 Online the Game is that 6 months later CM release F1 Online Challenge for sale on iOS, a cut down version of the same game we helped to nurture into being no management or custom cars just F1 team and tracks. 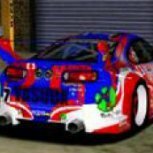 Grid 1 MP servers killed with NO warning, Twice the forums have been ditched with spurious excuses dumping all the tips help and advice we gathered and passed on to each other. none of this mattered to CM, only their fans, last time this happened was just after Grid 2 was CRUCIFIED by all the Toca and Grid 1 fans for the arcade "Trufeel" handling we had forced on us. I wonder why? Only Dirt Rally shows hope.... Given the history though I fail to believe it until I see it finished and they STOP DICKING ABOUT WITH THE HANDLING ALL THE TIME! Never was a car game more fun than Grid! Let's all meet in Grid 4/Grid Autosport 2! A release like Dirt Rally (monthly content updates) would be great. I also hope that the focus will be on real racing on real race tracks. I think the next Grid could be the game that Project Cars tried and failed to be. I'm just going to rattle off some wishes below. As someone that STILL plays the original Grid online 9 years later (as well as every racing game the Codemasters has ever released) I feel I have enough knowledge of this game to comment on what I would like to see in a new iteration of Grid. First we DO NOT need 'another' simulation racing game, as there are already plenty out there. However the original drive model of Grid sucked balls and so I would like to see a driving model like Forza Horizons 2, as that is a good compromise between sim and arcade. I would also like to see a return of Destruction Derby BUT they need to leave DD 'exactly' how it is in the first one (but update the graphics and add a few more tracks/cars) Also please DO NOT remove or change the radar so you cannot 'track' cars when you are going backwards as racers AND wreckers make this game mode. Obviously I would like to see updated graphics, more tracks and cars but I would also like to see more comprehensive online lobby options.